Batman. The Dark Knight. The Caped Crusader. Whichever moniker you want to call him, there's one thing that's for sure: he's the best looking superhero in the entire universe. Not that we're an authority on the subject or anything, but we'd take Batman's cowl over Superman's curlicue hair thing any day. 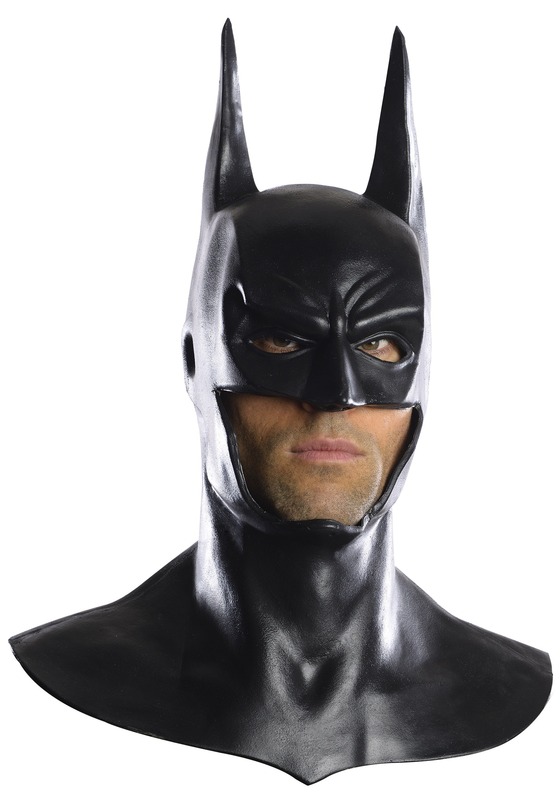 This cowl has everything you love: big pointy ears, eye holes so you can see, and it even covers the entire neck for a full 360 degree look. Now you can take on the Joker, Penguin, or just look fantastic at your favorite Gotham bar when you get this deluxe Batman cowl! Now all you have to do is work on that gravelly voice so you can say, "I'd like a Long Island Ice Tea" in as menacing a way possible.